Making the decision to build a new home or embark on a major remodel is a big step. The process, before and during construction, can be overwhelming. It’s a significant investment of money, time and energy and you want to make sure you do it right. One small mistake or missed detail can derail your entire project, break your budget or extend your timeline. You need experienced professionals to help lead you through your project. That’s where we come in. But we offer more than just experience. We have a special place in our hearts for home construction and remodeling because we recognize that when we are working on your home, we are helping you to create a new chapter in your life where dreams will be realized and memories will be made. When you hire BP Builders to build or remodel your home, we’re all in. We will serve as your trusted partner to ensure that every stage of your project goes according to plan. We will deliver personalized service and quality construction every step of the way. We are able to handle all aspects of your residential construction or remodeling project and virtually any style of construction. Hire us to design and build your new home or addition, or bring us on to build it based on an existing set of construction plans. If you bring your dream to the table, we will bring our knowledge and expertise. Together, we can create something that will last a lifetime and beyond. 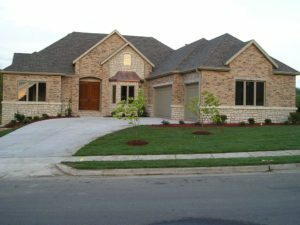 Take a look at our past home construction and remodeling projects and then let’s start planning yours!